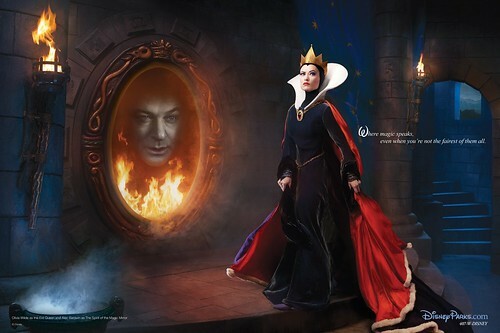 Back in 2008, I wrote about the Disney Dream Portrait campaign with photos by Annie Leibovtiz, and it’s been one of my most linked-to posts (check out those photos here). A couple of days ago 3 new photos for the campaign were added and again they’re so gorgeous! It’s also interesting to see that Disney is using actors that are featured in their main live-action franchises right now: Olivia Wilde and Jeff Bridges were both in Tron, Penelope Cruz will be in the next Pirates of the Caribbean. So who are we still missing? Which Disney character would you like to see? I think we’re still missing The Hunchback and Esmeralda, Mulan, Tarzan and Jane, and then the more recent princesses like Rapunzel and Tiana. I’d love to see Mandy Moore and Zachary Levi as Rapunzel and Flynn!